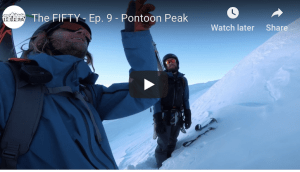 A week ago the negative mood in the mountains was palpable, a week of warm winds and mild weather had eaten into the snow cover and the rain was just starting to fall. 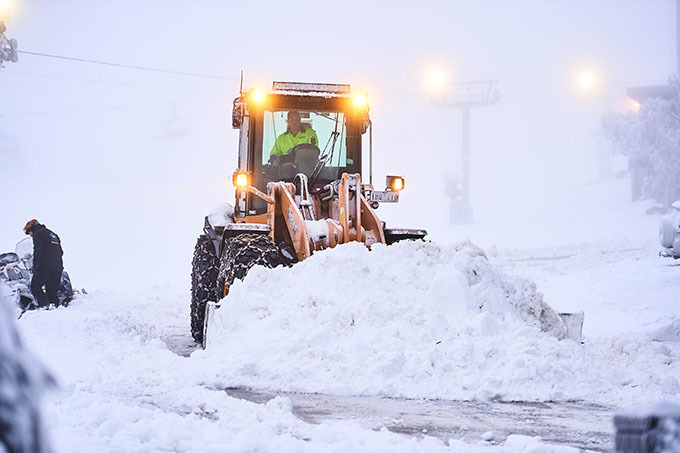 By the time the rain stopped around 5pm on Friday afternoon, it was all doom and gloom here in the mountains – not surprising when the resorts were reporting anywhere from 90 to 140mm of rain in 24 hours. Photos of washed out, patchy snow cover and flooding were doing the social media rounds and you could be forgiven for thinking it was all over. Fortunately a change was in the making, with the Grasshopper’s forecast calling for the arrival of a cold front and snow on Friday night. There was a gap between the end of the rain and the snow’s arrival, which saw the temps finally drop below zero and it started snowing above 1800 metres around 8pm. 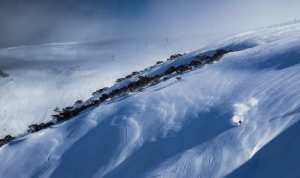 The following morning there was 5-10cm here in Thredbo Village and the mountain looked white. I went up to check out the damage, expecting dust on soggy crust, but was surprised to see a good 20cm on the top half of the mountain. I was even more surprised when my first run was in boot deep, dry, fresh snow from the Bluff all the way through to the bottom of Cannonball. I had intended going up for an hour, but came down three hours later, after skiing untracked snow in some of my favourite lines in Thredbo. The results of Friday’s deluge were there with rampaging creeks breaking through the snow, but the quality of the snow just one day after the worst winter rain event since 2009 was remarkable. The strong WNW wind played a big role in turning things around, blowing in a lot of snow which filled in the top areas of the resorts, while the cold temps had the snowmakers back out firing. The Grasshopper had been talking about a series of cold fronts that had potential to drop 50-60cm across the Aussie Alps from Sunday night through to Wednesday and, as we all know now, he was on the money again. Sunday was another good day with a mix of 10cm of fresh and wind-blown snow, while Monday was something special. 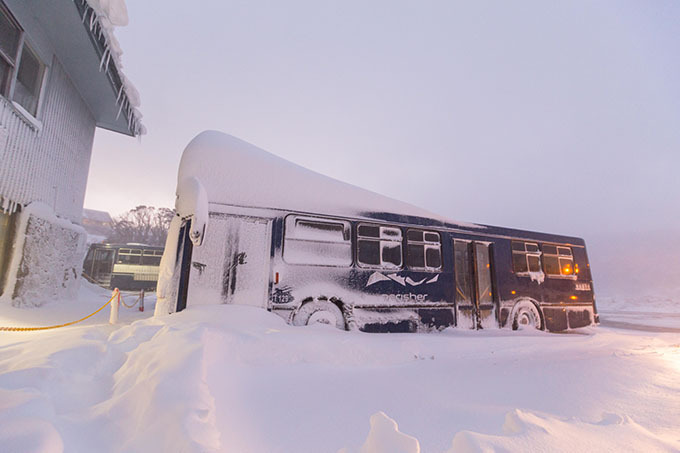 The NSW resorts had copped another 20cm overnight and with the temp at -6, the snow quality was excellent with some deep light drifts around and it was day of powder turns. The snow kept coming with 15-20cm overnight on Monday and Tuesday nights, the cold temps keeping the snow dry and all the resorts were enjoying amazing conditions. 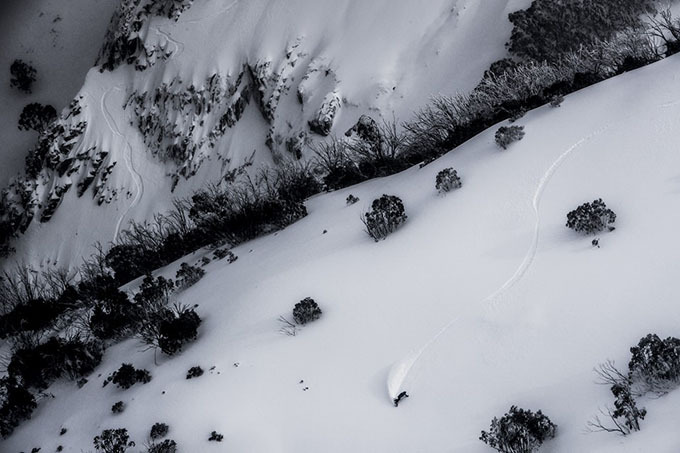 Bill Barker covered it off nicely in his Hotham snow report on Wednesday: “another 15 cm of cold dry snow overnight and it is still snowing now. It will be another epic morning of powder turns across the resort so get out there and make the most of it”. 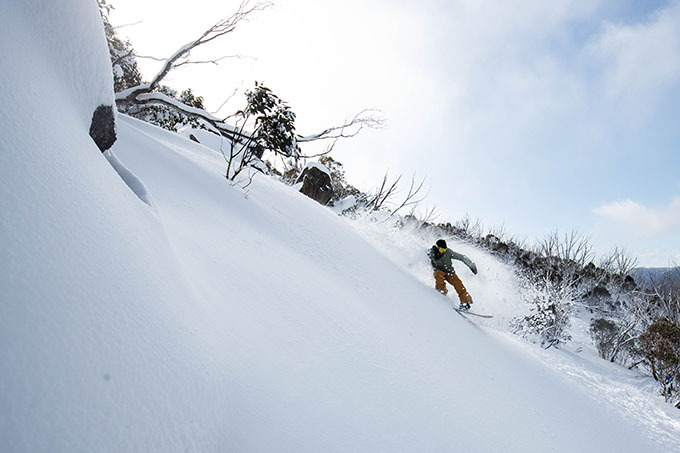 The snow finally cleared off on Wednesday and as I write it is Thursday afternoon, another great day here in Thredbo with classic wind-blown powder up high. 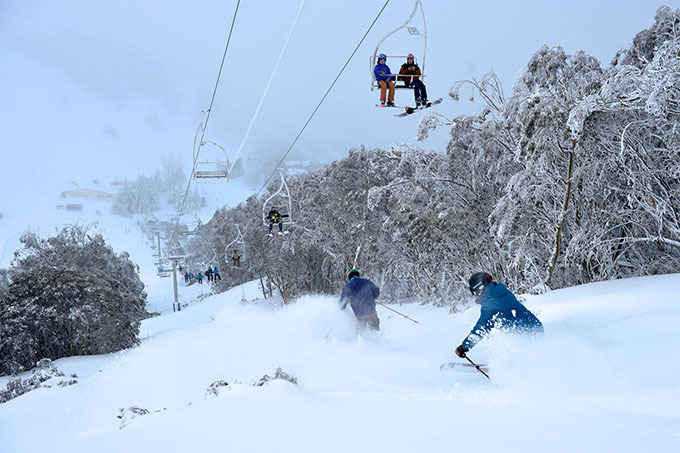 The NSW resorts have received 85-90cm since last Friday night and the Snowy Hydro snow depth at Spencer’s Creek is now at 142cm. It was one of those weeks where each day seemed to be better than the previous and a week where “as good as it gets” was the most heard refrain. 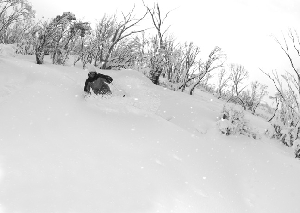 It was also a week where that the ignorant claim that Australia’s doesn’t get quality snow is shown up yet again. The next few days are looking pretty good with dry, chalky packed snow ahead of some rain on Monday. 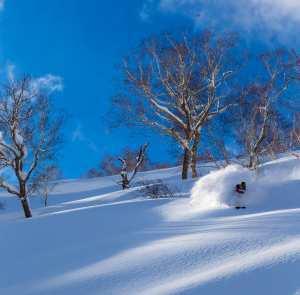 Then on Tuesday it all starts again, the Grasshopper calling for another 30-40cm as the next system hits, more powder days and the perfect start to August.